100,000 e2e selenium tests? Sounds like a nightmare! 100,000 end-to-end selenium tests and success in the same sentence? WTF? Sounds like a nightmare to me! But it gets worse. Salesforce have 7500 unique end-to-end WebDriver tests which are run on 10 browsers (IE6, IE7, IE8, IE9, IE10, IE11, Chrome, Firefox, Safari & PhantomJS) on 50,000 client VMs that cost multiple millions of dollars, totaling 1 million browser tests executed per day (which equals 20 selenium tests per day, per machine, or over 1 hour to execute each test). My head explodes! (and yes, another uncredited image from this blog used out of context and with my title removed). But surely that’s only one place right? Not everyone does this? “We recently had a really bad bug in Basecamp where we actually lost some data for real customers and it was incredibly well tested at the unit level, and all the tests passed, and we still lost data. How the f*#% did this happen? It happened because we were so focused on driving our design from the unit test level we didn’t have any system tests for this particular thing. I started to get very worried. David is the creator of Ruby on Rails and very well respected within the ruby community (despite being known to be very provocative and anti-intellectual: the ‘Fox News’ of the ruby world). But here is dhh telling us to replace lower level tests with higher level ‘system’ (end to end) tests that use something like Capybara to drive a browser because unit tests didn’t find a bug and because it’s now possible to parallelize these ‘slow’ tests? Seriously? Speed has always seen as the Achille’s heel of end to end tests because everyone knows that fast feedback is good. But parallelization solves this right? We just need 50,000 VMs like Salesforce? Firstly, parallelization of end to end tests actually introduces its own problems, such as what to do with tests that you can’t run in parallel (for example, ones that change global state of a system such as a system message that appears to all users), and it definitely makes test data management trickier. You’ll be surprised the first time you run an existing suite of sequential e2e tests in parallel, as a lot will fail for unknown reasons. Secondly, the test feedback to someone who’s made a change still isn’t fast enough to enable confidence in making a change (by the time your app has been deployed and the parallel end-to-end tests have run; the person who made the change has most likely moved onto something else). But the real problem with end to end tests isn’t actually speed. The real problem with end to end tests is that when end to end tests fail, most of the time you have no idea what went wrong so you spend a lot of time trying to find out why. Was it the server? Was it the deployment? Was it the data? Was it the actual test? Maybe a browser update that broke Selenium? Was the test flaky (non-deterministic or non-hermetic)? So what’s the answer? You have David’s FUD about unit testing not catching a major bug in BaseCamp. On the other hand you need to face the issue of having a large suite of end to end tests will most likely result in you spending all your time investigating test failures instead of delivering new features quickly. 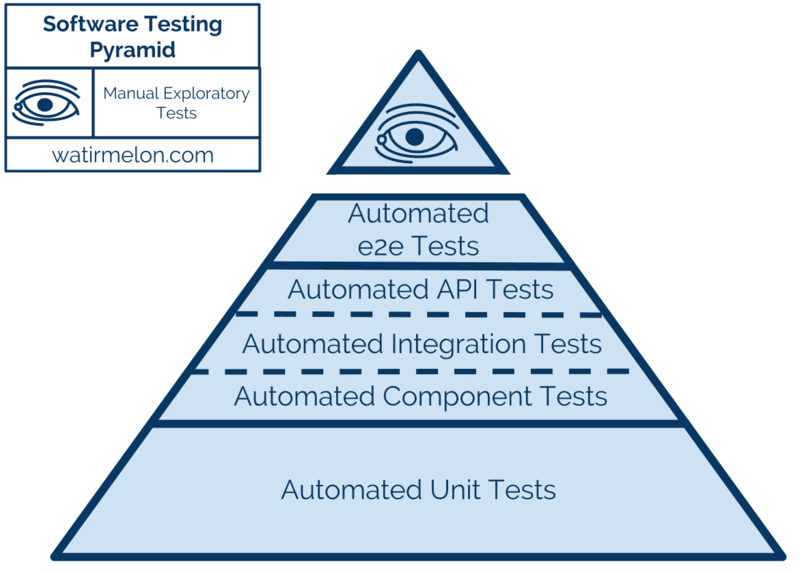 If I had to choose just one, I would definitely choose a comprehensive suite of automated unit tests over a comprehensive suite of end-to-end/system tests any day of the week. Why? Because it’s much easier to supplement comprehensive unit testing with human exploratory end-to-end system testing (and you should anyway!) than trying to manually verify units function from the higher system level, and it’s much easier to know why a unit test is broken as explained above. And it’s also much easier to add automated end-to-end tests later than trying to retrofit unit tests later (because your code probably won’t be testable and making it testable after-the-fact can introduce bugs). To answer our question, let’s imagine for a minute that you were responsible for designing and building a new plane. You obviously need to test that your new plane works. You build a plane by creating parts (units), putting these together into components, and then putting all the components together to build the (hopefully) working plane (system). If you only focused on unit tests, like David mentioned in his Basecamp example, you could be pretty confident that each piece of the plane would be have been tested well and works correctly, but wouldn’t be confident it would fly! If you only focussed on end to end tests, you’d need to fly the plane to check the individual units and components actually work (which is expensive and slow), and even then, if/when it crashed, you’d need to examine the black-box to hopefully understand which unit or component didn’t work, as we currently do when end-to-end tests fail. As with any new plane, the early design phases were riddled with uncertainty. Would the materials be light enough and strong enough? Would the components perform as Airbus desired? Would parts fit together? Would it fly the way simulations predicted? To produce a working aircraft, Airbus had to systematically eliminate those risks using a process it calls a “testing pyramid.” The fat end of the pyramid represents the beginning, when everything is unknown. By testing materials, then components, then systems, then the aircraft as a whole, ever-greater levels of complexity can be tamed. “The idea is to answer the big questions early and the little questions later,” says Stefan Schaffrath, Airbus’s vice president for media relations. Having just one level of tests, as shown by the stories above, doesn’t work (but if it did I would rather automated unit tests). Just like having a diet of just chocolate doesn’t work, nor does a diet that deprives you of anything sweet or enjoyable (but if I had to choose I would rather a diet of healthy food only than a diet of just chocolate). Now if we could just convince Salesforce to be more like Airbus and not fly a complete plane (or 50,000 planes) to test everything every-time they make a change and stop David from continuing on his anti-unit pro-system testing anti-intellectual rampage which will result in more damage to our industry than it’s worth. Author Alister ScottPosted on May 14, 2014 May 15, 2014 Categories ATDD, Automated Acceptance Testing, Automated Testing, Selenium, Software, Software Testing, TDD, Test Automation, WebDriverTags Airbus, Salesforce, Salesforce.com, Selenium, SFDC, testing pyramid, Unit Tests, webdriver8 Comments on 100,000 e2e selenium tests? Sounds like a nightmare!